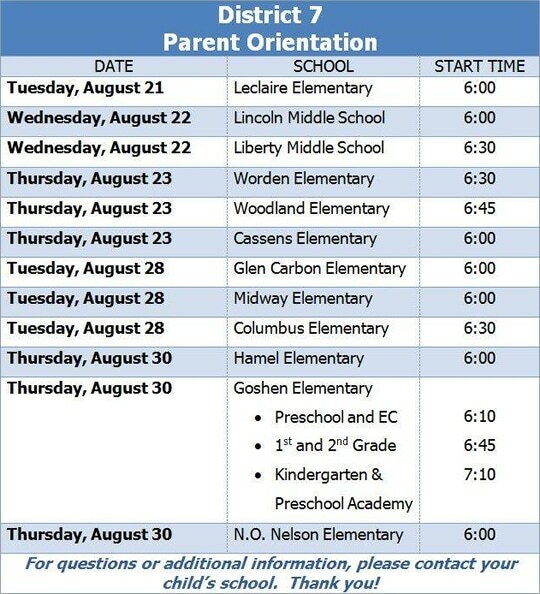 Don’t forget about the opportunity to attend your child’s parent orientation night! 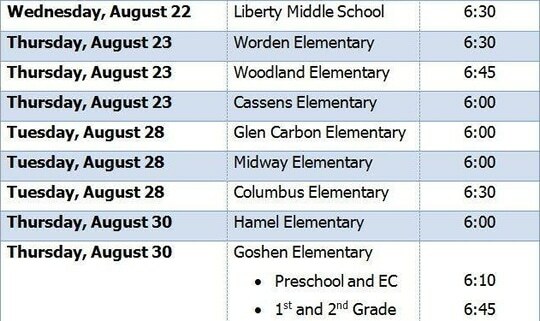 District 7 elementary and middle schools offer an opportunity for parents to visit their child’s school and learn more about what happens throughout the school day. Principals will discuss general information, such as drop off and pick up procedures, as well as how to get involved in volunteer opportunities. In addition, teachers will share information related to the day-to-day happenings within their classroom, including the curriculum at their grade level.